Large Pizza Cutter | Kitchen Tools(KEB-213) - Keywood International Inc. 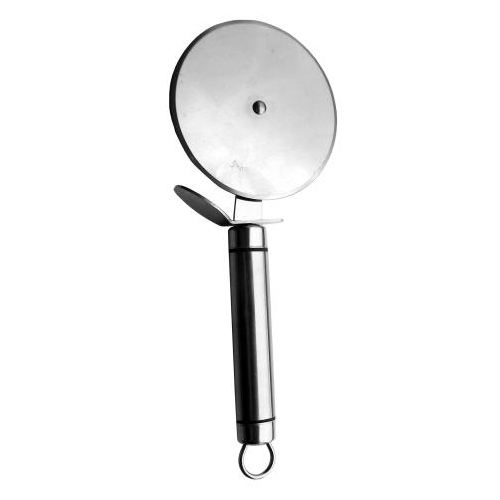 This large pizza cutter is has a large rolling wheel for cutting large areas of pizza, pasta or dessert. The wheel blade is made of high carbon stainless steel to make slicing an effortless task. The handle end has slot for hanging when drying or not in use.